From Santiago to the gate of Patagonia. 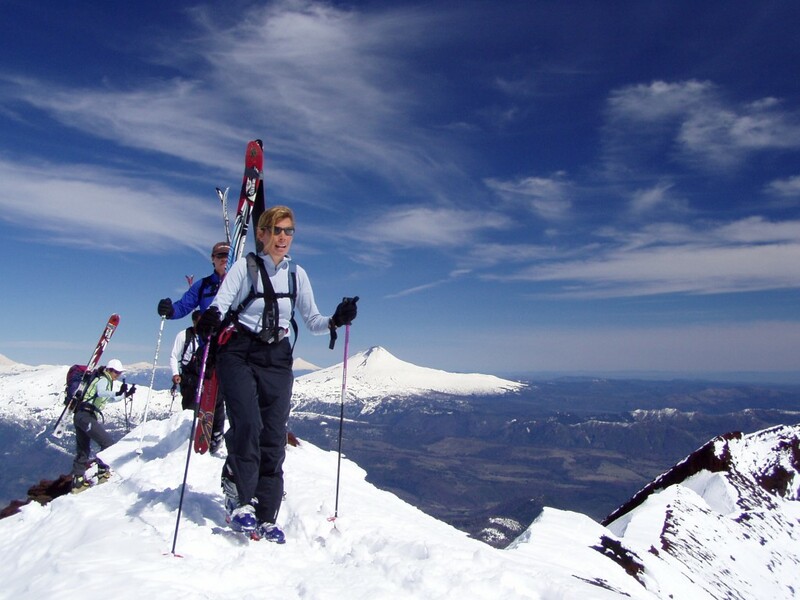 Discover the beauty and experience the thrill of ski touring the most spectacular Chilean volcanoes from the central Andes to Patagonia. During 16 awesome days you will ascend and descend no fewer than 9 majestic Andean volcanoes: Chillán, Nevados de Chillán, Lonquimay, Tolhuaca, Llaima, Villarica, Mocho, Casablanca, and Osorno. Combining world class back-country skiing, superb views, pristine wilderness, cozy rustic hotels, and exquisite natural hot springs in which to relax and restore tired muscles, this sensational ski touring experience has it all.